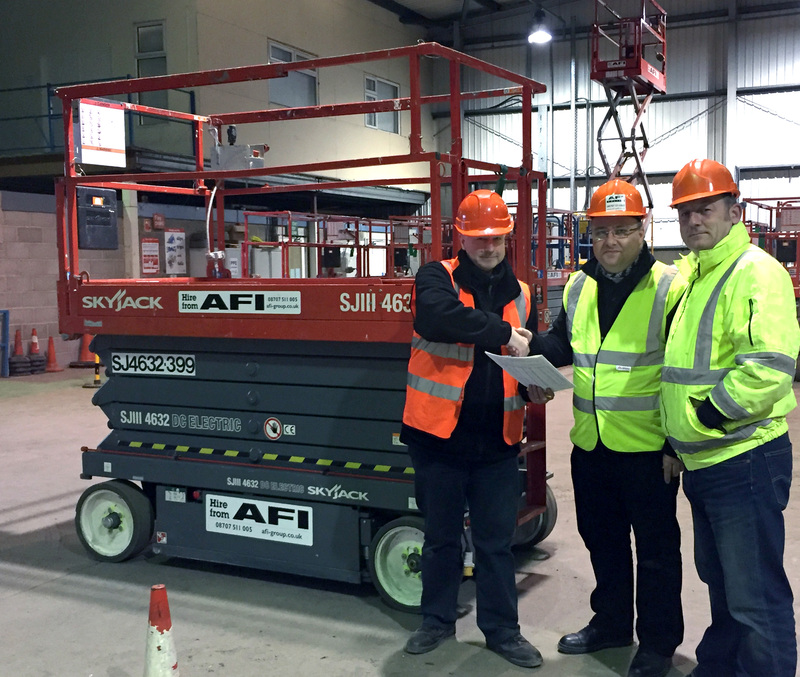 AFI Director and IPAF Deputy President Nick Selley was one of the first people in the UK to complete a new IPAF e-Learning operator training programme which has now been launched in the UK, following the enhanced programme’s introduction in the US and Canada last year. After passing the e-Learning module he then undertook the practical element of the course to complete the operator training programme. The online element lasts approximately 2½ hours and involves interactive elements and online videos as well as quizzes throughout to encourage delegate participation. This is followed by a theory test. The e-Learning training module does not replace the practical training, but enables trainees to complete the theory sessions online at their own pace and time. Taking the theory element of the training via e-Learning reduces the amount of time to undertake the course on the practical day – from one day to half a day – and gives delegates more time to focus on the practical element of the training. Delegates still need to pass a supervised theory test at an IPAF-approved training centre before they complete the half day of practical training and testing to gain their PAL Card (Powered Access Licensed-Registration). Brian Kirkbride, AFI Training Operations Manager, and Julia Yates, Customer Service and Online Project Manager, also undertook the pilot programme ahead of its UK launch. “The graphics are of a very high standard and enhance the learning experience. The programme is user friendly and that will promote the willingness to learn. Delegates can go back over a section as many times as they want until they understand that part rather than feel too embarrassed to ask a question in a group event. All in all it is a very proactive move in the right direction as far as we are concerned at AFI,” he added. AFI’s training operation, UTN Training is offering the new e-Learning module through the following website link http://www.utntraining.co.uk/ipafelearning. Delegates can book training online and start their e-Learning module immediately. Once delegates have passed the module they have up to 45 days to take the practical side of the training at one of UTN’s 21 training centres throughout the UK.